Relocating to a new house is stressful enough without having to worry about the logistics of an entire move. So when it comes to the heavy-lifting (literally), leave it to the professionals — professional movers, that is. Experienced Forest Hills, NC moving companies consist of expert movers and packers who can efficiently pack, move and assemble your Forest Hills belongings to ensure that you get off to a good start in your new home! Our humble beginnings have roots where business began out of a need in our community for friendly, reliable service at a price that wouldn't break the bank like the "other guys". Since our first delivery using an old, beat up pickup truck, we have expanded our services to serve the needs of our community better while maintaining our family-owned style. We see every customer as an extension of our family and try our best to treat them as such. When someone welcomes us into their home, office, or storage space, we see it as a privilege that we do not take lightly. Our every aim is to provide exceptional service at a price that is lower than our competitors and a way to serve your family with all that we have. We pickup and deliver items you need moved. 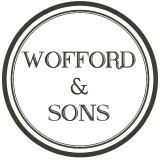 From single items to full house moves and ongoing business partnerships, we do it all. Call us to schedule your next move or get a free quote. **786-612-5685** Rates start at $99/hr for two uniformed workers Licensed and Insured Enclosed box truck, moving blankets, and plastic wrap. We are a local delivery service that has been created to provide superior service in the moving industry. We have experienced professionals ready for even the most difficult moves. From any size, shape, make or model we have the tools to do the job. These products are virtually impossible for your average moving company to transport. We take great care to ensure your cargo arrives safely at its destination. We understand that moving to a new home or a new city can be both the most exciting and the most overwhelming of experiences. This is why we are proud to offer our customers a unique, personalized level of service that specifically caters to the needs of every single family we serve. We want to make your entire moving process as simple, affordable, and stress-free as possible. Simply put, we are movers you can trust! East Meadow Services company is hosted by the skilled professionals where the main aim is to provide various kinds of services like IT moving services, power washing services, commercial moving services, commercial handyman services and pet waste removal services. Our main aim is to provide you with best services. 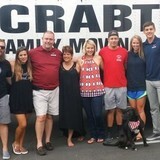 Crabtree Family Moving is a family owned company in the Raleigh, Durham, Chapel Hill and the nearest area. We use our 25 years of experience every day to help residential and commercial owners! Our goal is simple to take the worry away from our customers during their move. We listen to our customers and we put their needs first. Our entire team is committed to meeting those needs. If you are looking for a fast, friendly, affordable, and professional moving team give BeeLine Moving Company a call. We are residential movers servicing Raleigh and surrounding areas. 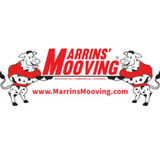 We provide full service moving to all of North Carolina and the lower 48 states. Services Provided: Full service residential moves Local and Long Distance Commercial/Corporate Office Moves. In House Moves Safe Moving Piano Moving We can also assist you with your move by providing the labor to load and/or unload your moving truck, trailer, POD, and container of any kind. Let’s be honest—long distance moving can make you feel overwhelmed. It’s a big deal, and at Move Quick we understand that. As an interstate moving company, we are tasked with coordinating moves across state lines, and we work hard to ensure the process runs smoothly from pick up to delivery. It’s why we’ll be at your side every step of the way, ensuring the move goes smoothly. With location all over the united states home base remains just a stones throw away. Just call move quick and we'll handle the rest! "Moving Kings North Carolina – the moving company you have been looking for When you need to move, you need to find a reliable mover. You need someone who can take care of everything for you. Moving Kings North Carolina are such movers. We can take on any relocation project – no matter its size, complexity or distance. You can always count on us. We are one of the best moving companies in NC, so make sure you give us a call as soon as possible. Let’s start preparing for your relocation together! " Raleigh Billiard Table Movers founded locally in 1999 with the pool table professionals from all around Raleigh, a 40 year old family tradition with the best pool table service. Delivering our best at any service we perform on your billiard table, making the job right once without any flaws with reliability and confidence bearing us and our customers assurance with an exclusive 1 year premium service guarantee! 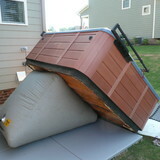 Parks Moving & Storage Inc. is based in the Fayetteville, NC area, but we handle international and local moves. We help offices, government and military institutions pack and move their belongings and equipment quickly and safely. 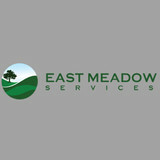 We work closely with our clients to customize the services we provide based on their specific needs and circumstances. We’re proud to be a leading Moving Company in the Triangle, and willing to go the extra mile whenever and wherever we’re needed. Contact us today to get in touch with our team of experienced professionals.